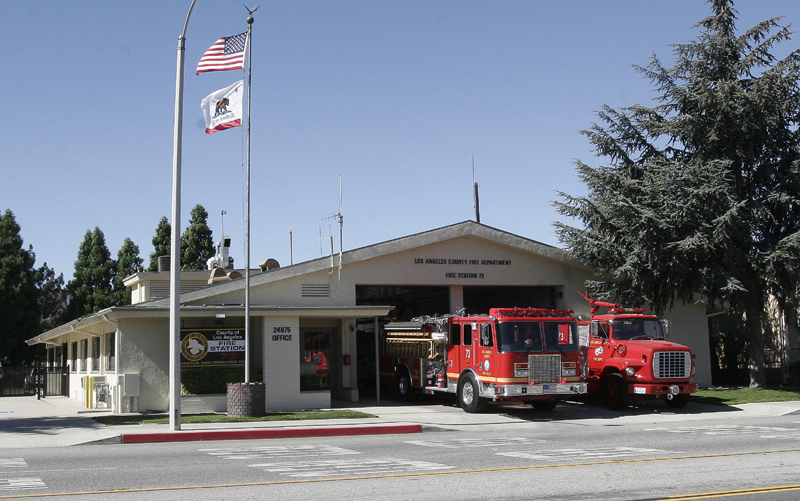 Fire Station 73, Los Angeles County Fire Department. Photo 2008 by Bill Hartenstein. The station was built in the 1950s in Newhall at what is now 24875 Railroad Ave.
FD0801: 19200 dpi jpeg from jpeg courtesy of Fire Capt. Paul Peppard, Station 73, Los Angeles County Fire Department, 2014.